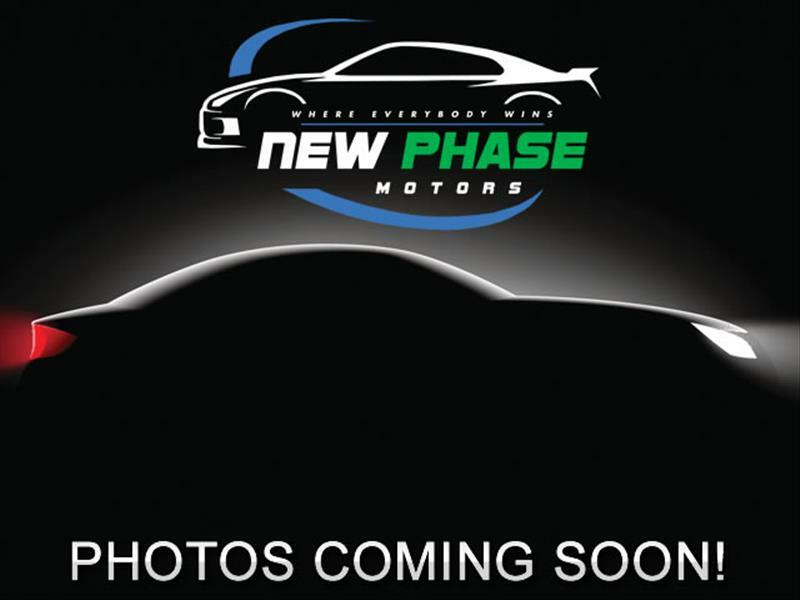 Visit New Phase Motors online at newphasemotors.com to see more pictures of this vehicle or call us at 267-900-2526 today to schedule your test drive. ATTENTION! ! ! !GENERAL PUBLIC!!! PLEASE READ!!! INVOICE CLEARANCE SALE!!!! THESE ARE OUR COST PRICES!! Feel free to come down and check out this BEAUTY!!! And MAKE US AN OFFER'' we can't refuse. $$$$$, NO REASONABLE OFFER ABOVE OUR COST PRICE REFUSED PLEASE BRING AD TO GET INTERNET SPECIAL PRICING ''MAKE US AN OFFER'' CASH OR FINANCE!!!! ***** WE HAVE NEW FINANCING OPTIONS !! This is an opportunity to repair or start your credit!! All cars are SERVICED/ PREP AND SAFETY INSPECTED AND READY TO GO. Extended warranty plans available at an additional cost. TRADE-INS welcomed. Appointments are recommended due to SAME DAY DELIVERY and FAST TURN around NY PLATES available on the spot. We also provide TEMP PLATES FOR OUR OUT OF STATE CUSTOMERS. All vehicles pay Taxes Tags License and a reconditioning fee (non - negotiable.